If you’re driving a Porsche Boxster roadster, Porsche 911, Porsche Cayman, Porsche Cayenne SUV or any other Porsche, John’s Automotive Care in San Diego is your top pick for auto repair. Our extensively trained team of ASE-Certified auto mechanics offer outstanding service and repair on every model. In fact, John’s Automotive Care specializes in German auto repair. From precise tune-ups to engine and brake repair, make John’s Automotive Care your headquarters for any and all Porsche auto repair. We’re auto repair experts on everything Porsche, and we’re a Certified Green Business, so you know we don’t want to hurt the environment. “Ok, I'm going to say it. I love my mechanic. Or to be more correct, the entire staff of my mechanic's shop. Find this slightly inappropriate? Well, I don't...not after what this shop has done for me! Finding Brian and his team when I first moved to San Diego a year ago was probably the best thing I did. More times than I can count he has come to my rescue for little things like having one of his techs (shout out to Jon Jr here) fix my center console that my friend ripped off unknowingly (he even found the screws that flew all over the car and just put it back together for me!!!) to fixing my more major problems like when my axle boot decided to explode and spray grease all over my catalytic converter. And the best part is that he always helps with an understanding that this chick works at a non-profit and she ain’t got no money! I probably drive Brian nuts with my panic and my constant phone calls of, 'why is it doing this?" or "Um, something else is wrong with my car now..(sigh)." But you'd never know it because, every time, he patiently sits on the phone with me to figure out what I'm freaking out about and always gives me an honest answer as to whether I need to bring it in or whether it's something I can deal with until later.What it comes down to is that there is no better place in San Diego to take your car. Period.” -- Malia M.
Call John’s Automotive Care today , if you have specific questions about your Porsche or would like to schedule an appointment. Our auto repair shop is located at 6267 Riverdale Street in San Diego CA 92120. 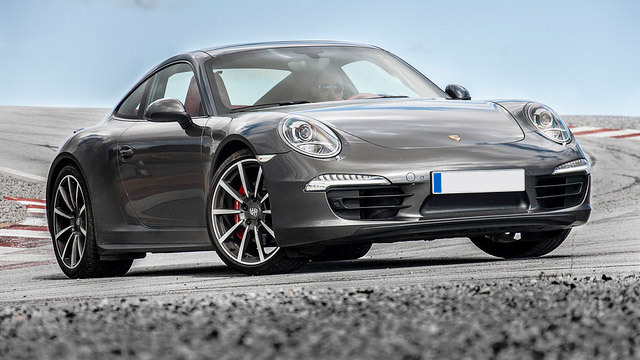 We look forward to securing the longevity, driveability, and safety of your beloved Porsche.